Damongo, a website that allows people to post and search for a wide variety of micro jobs, has just launched a new and more user-friendly website. As a spokesperson for Damongo noted, the founders of the site understand that lots of people have amazing talents that often go unused. That inspired them to create Damongo: a website that lets people offer a micro job freelance service at an affordable price to someone who needs the service. “Cut out all the expensive overhead and costs of marketing and running a business,” the spokesperson said, adding that Damongo is a great fiverr alternative. Using the newly upgraded Damongo website is easy for both sellers and buyers. Sellers simply need to create a new gig for a service they can offer for $5 or more. Gigs range from $5 up to $50, and categories include advertising and online marketing, music and audio, programming and tech and more. 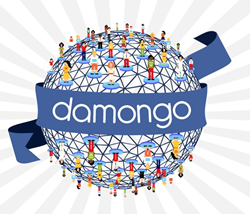 Sellers can then share their gig using Damongo’s social media tools. When someone has ordered their gig, the seller will receive an email notification. Once they have delivered the service, Damongo will credit the seller’s PayPal account with the value of the gig, minus a small transaction fee. Buyers may search Damongo for a gig they are looking for; once they find one they like, they can place an order for it and pay for the gig with a credit card or PayPal. Buyers then send the seller information and track how their gig is going. Once they receive the finished gig, they may provide feedback for the seller and his or her service. Anybody who would like to learn more about Damongo is welcome to visit the website; there, they can read more about the micro jobs website and browse through the available gigs.